Posted December 4, 2018 by Andrea Laford & filed under Headlines, News, Spoilers. Some interesting concurrences have appeared in the publicity photos released for the tenth and final episode of Doctor Who Series 11, The Battle of Ranskoor Ave Kolos released by the BBC. 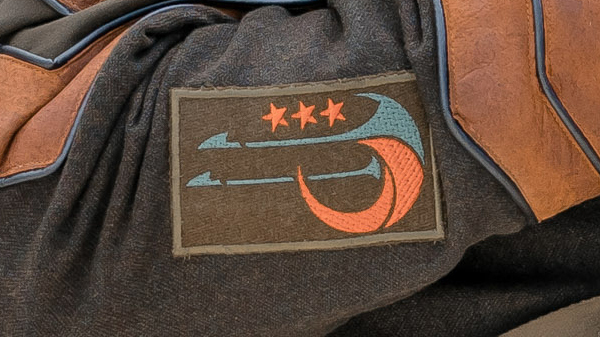 The insignia on the sleeve of Commander Paltraki (Mark Addy) shows three stars. 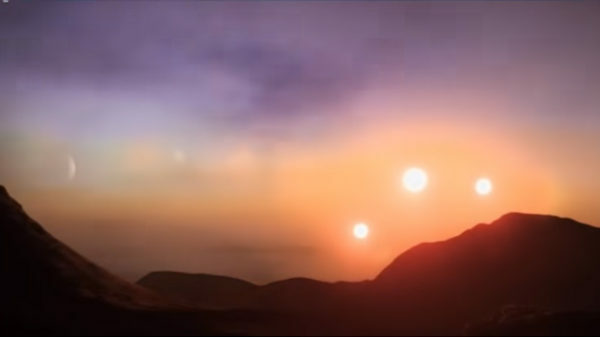 The planet given the warning designation “Desolation” in the second Doctor Who episode, The Ghost Monument orbited a trinary star system of three suns. 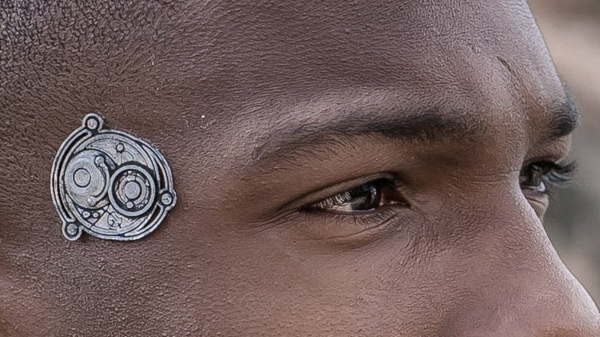 And the symbols attached to the temples of the characters? There are other connections to “Desolation” which this person discovered. It’s worth reading his entire thread. 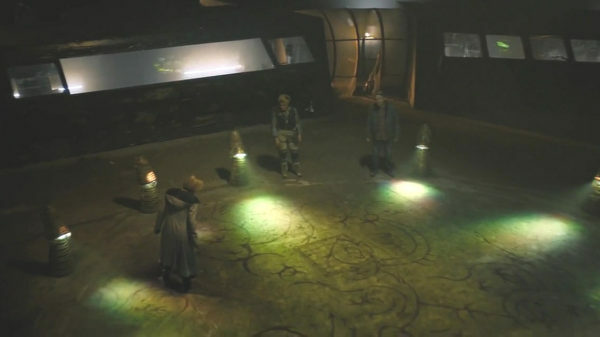 More information about the Doctor Who series finale, The Battle of Ranskoor Av Kolos can be found here and here and here.